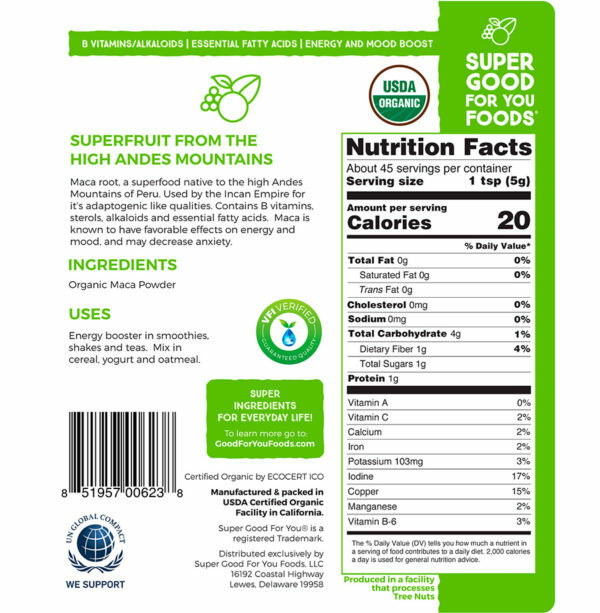 Peruvian Maca is a powerful superfood native to the high Andes Mountains of Peru. 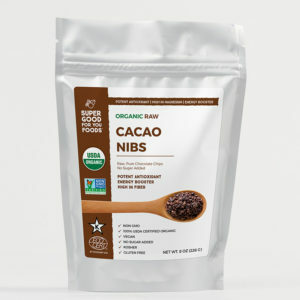 Its roots were used throughout the Incan Empire for their adaptogenic qualities, which help the body cope with stress. Good For You Foods organic Maca powder is a healthy boost for cooking and baking recipes. 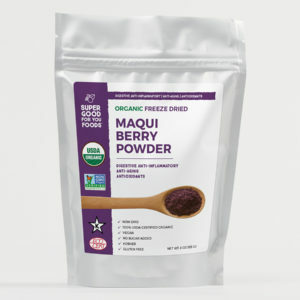 Why not make a Maca smoothie for your workout session? 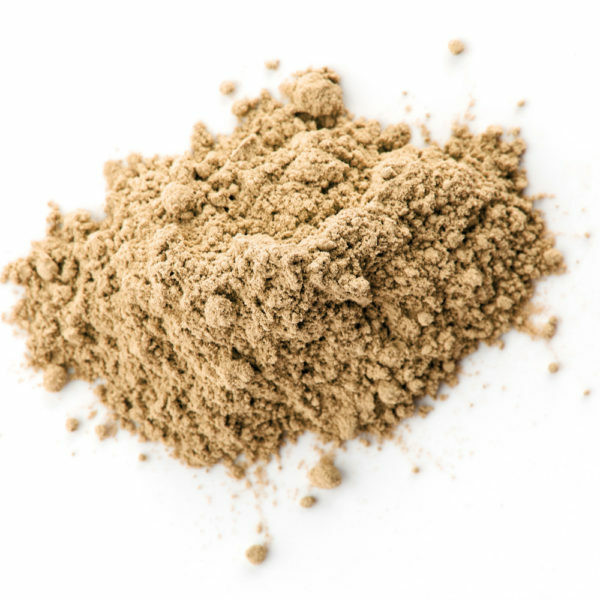 Maca root has been known to increase stamina, enhance libido, and balance the human endocrine system. 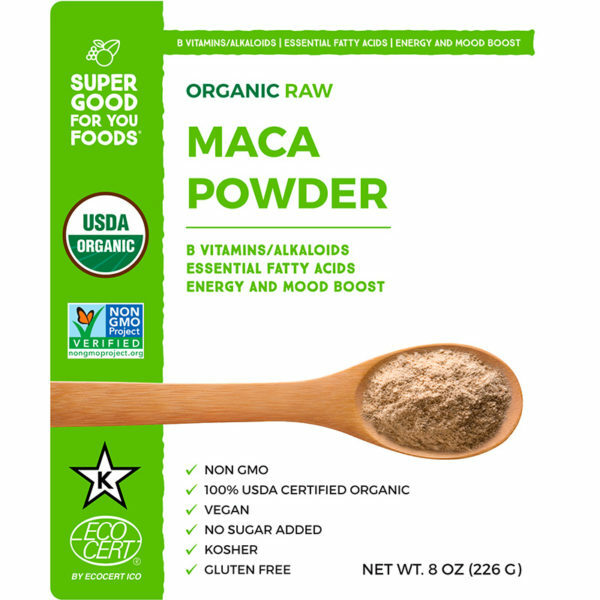 Maca root powder holds many health benefits – it’s a great source of vitamins B1, B2, B12, C & E, while also containing sterols, alkaloids, and healthy fatty acids. We’re all about that Field-to-Fork Freshness— with very few stops along the way. Our quick order processing and Priority Mail shipping brings Maca Powder with no unnecessary delays. 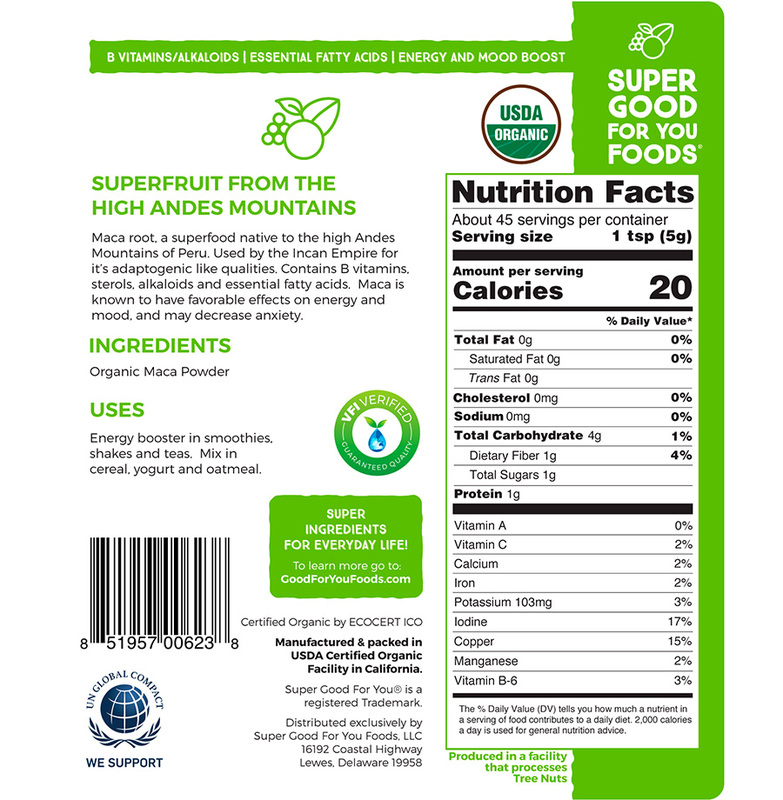 A hardy, frost-tolerant tuber, maca prefers the isolated conditions of the Andean highlands, between 3500 and 4500 meters above sea level. It is used locally as a baking flour, or mashed and mixed into a porridge. 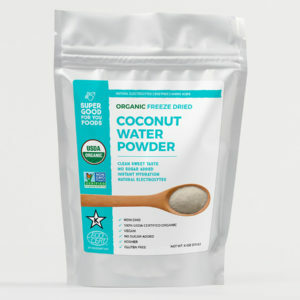 To capture the stimulating nutrients of maca, we sun-dry ours and offer it as a ready-to-use powder. Muddle cilantro and jalapeño, season with salt and pepper, add diced avocado then mash to combine. Mix in remaining ingredients. Season to taste with more sea salt. Blend up all ingredients, you may have to stop halfway and give it a good stir. If it seems too thick, add some additional liquid.